Uruguay, which won the World Cup in 1930 and 1950 lost to the 1998 World Cup winners France. In the next round the French team is slated to face the winner of the Brazil – Belgium match, which will kick off in Kazan on Friday at 09:00 PM local time (06:00 PM GMT). The FIFA World Cup quarter-final match between Uruguay and France, which took place in Nizhny Novgorod on Friday, was played in front of a sell-out crowd of 43,319 supporters. 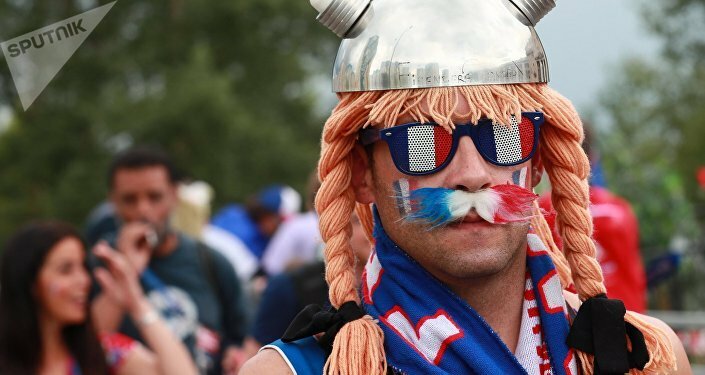 France will play in the semi-finals for the first time since the 2006 FIFA World Cup, where they were beaten on penalties by Italy in the final. At the 63rd minute Antoine Griezmann notched up the second goal, assisting France to beat Uruguay 2-0, as the Latin American team failed to strike back during the rest of the game. The French striker was also named the man of the match. In the 40th minute of the match, Raphael Varane scores the first goal against Uruguay. First 35 minutes of the quarter-final match have ended in a draw. Lucas Hernandez has received the first yellow card of the match in the 33rd minute. 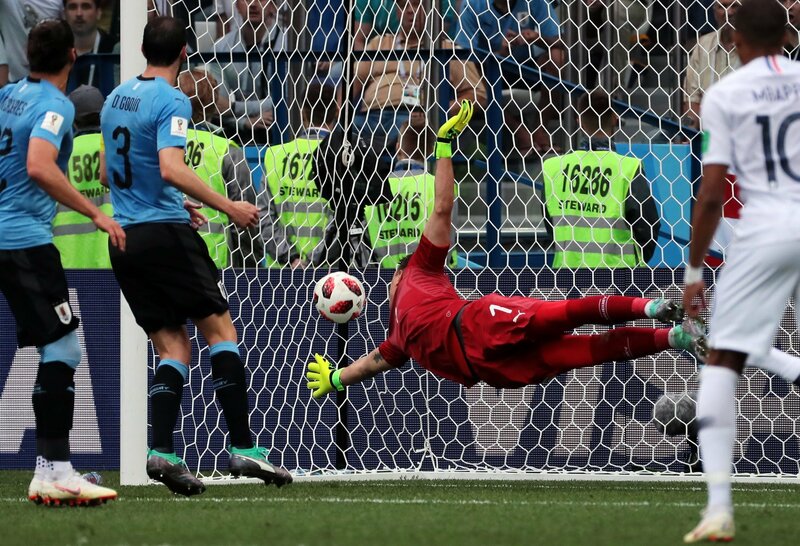 While the Uruguay footballers have won all their games and have conceded just the one goal so far, Les Bleus sent home Argentina in a spectacular round of 16 match. Forwards: Antoine Griezmann, Kylian Mbappe, Olivier Giroud. Forwards: Luis Suarez, Cristhian Stuani. Uruguay head coach Oscar Tabarez said that information about forward Edinson Cavani's participation in the quarter-final game against France would be revealed only on the day of the match. France head coach Didier Deschamps has commented on striker Antoine Griezmann knowing both the strong and weak points of Uruguay defenders and his Atletico Madrid teammates Diego Godin and Jose Gimenez.